Come out and "Catch the Wild Side of Yosemite!" The thought of Yosemite National Park will conjure up images of magnificent waterfalls, enchanting Giant Sequoias and iconic Half Dome; yet to the seasoned angler, Yosemite has a lot more to offer than the tallest waterfall in North America. 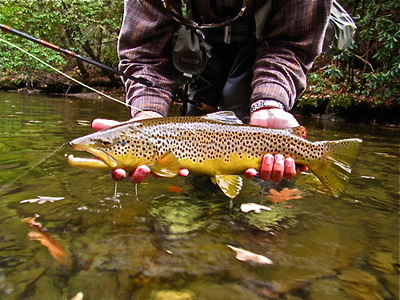 Yosemite National Park provides fly fishers with a wide verity of fly fishing opportunities. At 747,956 acres, Yosemite is home to more than 1,300 miles of various types of rivers and creeks and 300 lakes and ponds. There is plenty of accessible water for every angler to get their line wet. Yosemite's back country, with it's 800+ miles of majestic trails, provides remote water to the fly fishers that are seeking breathtaking beauty and complete serenity. 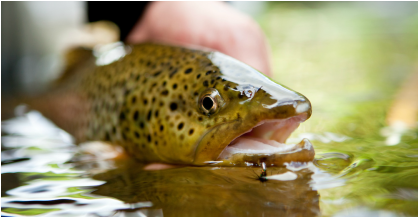 If your an angler that is looking for areas to fly fish that are closer to the road, Yosemite provides miles of water that is easily accessible and you will still have a good chance to catch a native Rainbow or a wild Brook, Brown, Cutthroat or maybe even a rare California Golden Trout. Our Walk and Wade fly fishing trip(8 Hours) allows our local fly fishing guides the perfect amount of time to teach beginner anglers the fundamentals of fly fishing; from casting lessons to reading the water, to knot tying and choosing the proper flies. 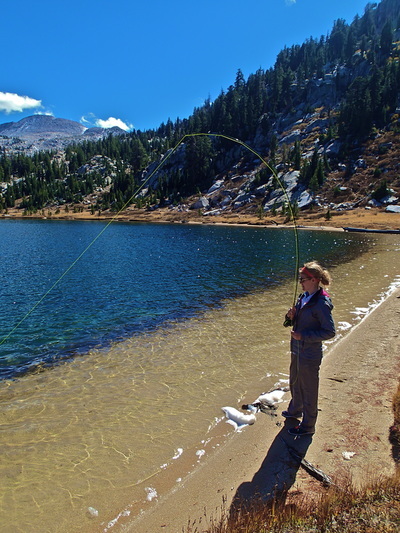 It also allows intermediate and expert anglers the chance to get into Yosemite's back country and it opens up the opportunity to fly fish on more bodies of water during a single day. Make sure to spend one of your days in Yosemite chasing large trophy trout during our private Walk and Wade fly fishing trip. 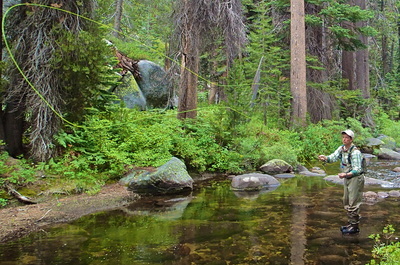 ﻿The "Grand Slam" fly fishing trip(10 Hours) is the dream trip for any angler that wants to try and catch four different species of Yosemite trout. 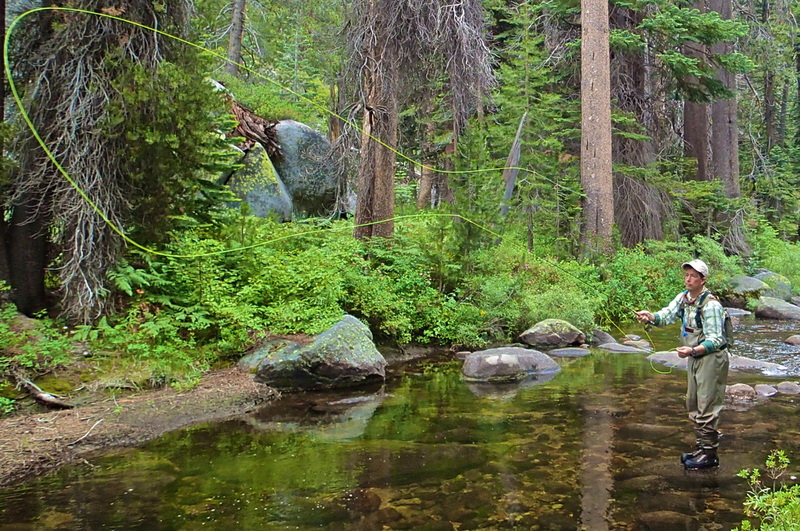 Chase wild Rainbow, Brook, Brown and Golden trout on this unforgettable trophy day in Yosemite. The "Custom Day" fly fishing trip(10 Hours) is built for larger groups that want to learn how to fly fish during their visit to Yosemite. Head up into the High Country and spend the day learning the how to fly fish with a local fly fishing guide. anglers will cross our paths! provides all fly fishing trips for Yosemite Family Adventures. Visit our partnered guiding company to find more Yosemite activities and exciting private Yosemite tours. After spending some time catching wild Yosemite trout, make sure to enjoy a Yosemite hiking tour or a custom sightseeing tour in Yosemite that captures all the wonders of our magnificent National Park.